Even if you’re a super smart in your area of expertise (nursing, physical therapy, pharmacy, etc. 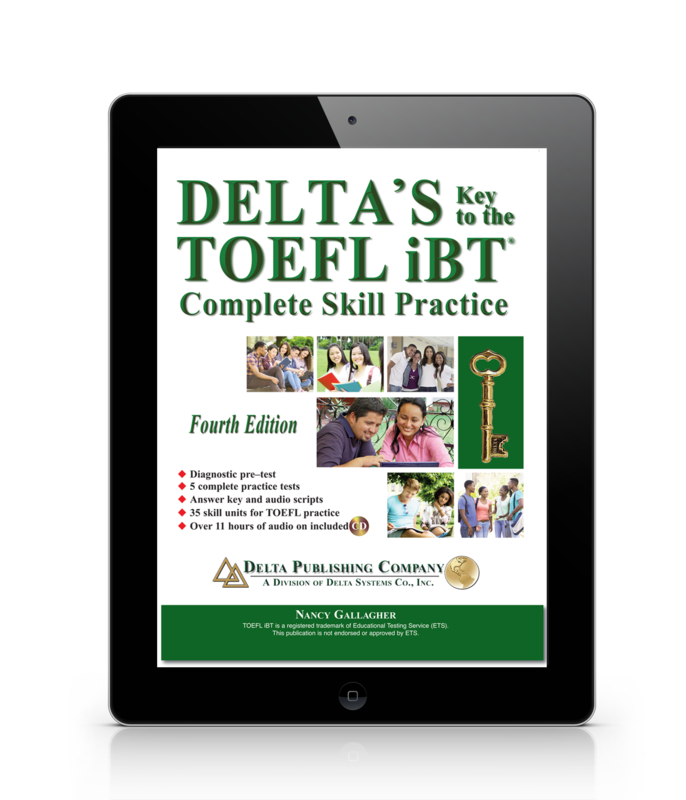 ), you may feel like you’re failing for the first time in your life with TOEFL iBT. The way you studied in university got you results in your industry — but it isn’t getting you results for TOEFL. 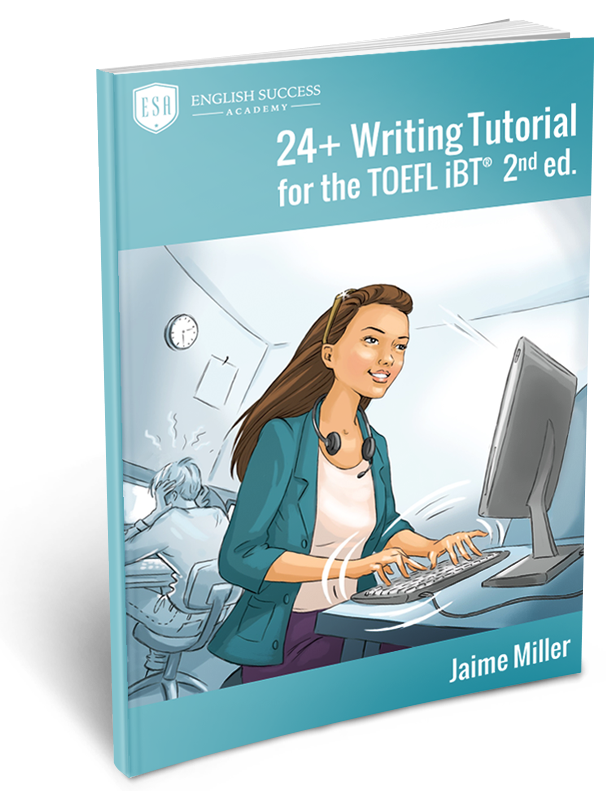 If you’re ready for a study schedule that will raise your performance level, click here and learn more about Jaime Miller’s live online classes called The 12 Essential Topics for Speaking scores of 26+ at TOEFL iBT. Hi. 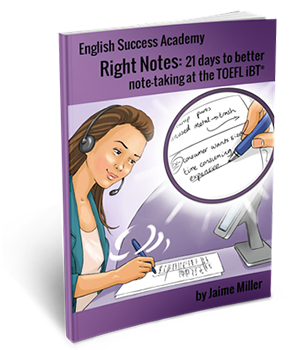 I’m Jamie Miller, the owner of English Success Academy, and since 2010 I’ve been working with pharmacists and physical therapists to help them get speaking scores of 26 or higher on TOEFL iBT. I’ve seen a lot of things over the years in terms of study schedules and how pharmacists, physical therapists, and other professionals try to study for TOEFL iBT. Most of the people who I work with are really, really smart people, often they were at the top of their class and if they took an industry exam like the FPGEE for pharmacists which measures how much pharmaceutical knowledge they have, usually my students did really, really well in things like FPGEE. I work with smart people who know their industry. And those smart people encounter TOEFL iBT, and suddenly the old ways that they used for studying in their industry or when they were in university, they don’t work anymore. And so it’s really normal for a lot of my students to feel like TOEFL iBT is the first time in their life where they’ve ever failed or TOEFL makes them feel stupid about themselves, even though they are very smart people who’ve done really well in the past in other areas. One of the reasons why people get so stuck with TOEFL iBT especially with speaking scores that just get stuck at 23 or 24, and they can’t move past it to get that 26, is partly because of the schedule and the way that they’re studying. Like, I said before the things that you used to do when you were in university or for your industry, those old ways of studying don’t help you pass the TOEFL iBT test. Now this is partly because there’s two ways that you can really study, and so I’m going to show you some new terms and concepts here to make sure we’re on the same page. So one way of studying is to cram. 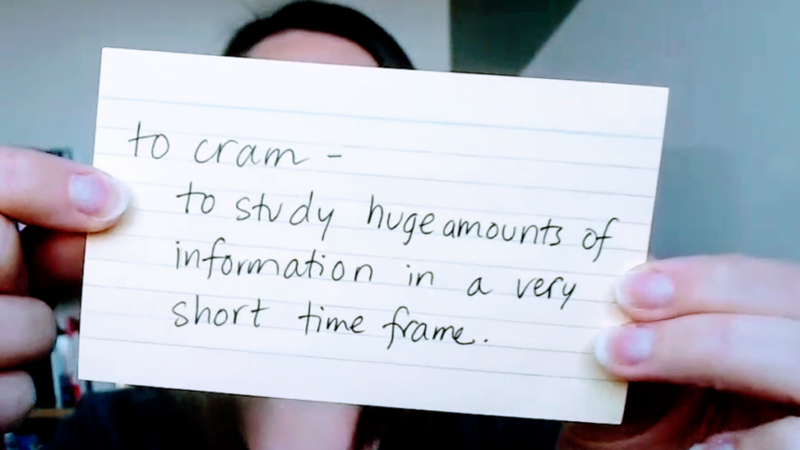 And to cram is to study huge amounts of information in a very short timeframe. Cramming will work when you already know the material in that area, and you already have a high level of knowledge or a high level of performance in that area with those topics. I’m going to show you an example in a minute here about what cramming can look like with TOEFL iBT so you can see have you been cramming or not, yes or no. But like with pharmacists or physical therapists who really know their industry they could cram for an industry test for their area of expertise, and they would probably pass it because they already have so much knowledge in that area, they’re already so smart in that area. But it doesn’t work with TOEFL. The other way to study, and this is where I help students, what I do with my clients so that they can get those speaking scores of 26 or writing scores of 24 or whatever their target scores are. What I work with people on is how to raise their performance level. And when we raise the performance level this is when you study consistently in order to upgrade your language skills, so this may be a way of developing new habits, new reactions with using grammar correctly or vocabulary correctly, or if you’re working on your accent and your pronunciation – how to train yourself to have a new level of accuracy with your accent when you’re speaking spontaneously. This isn’t something that you can cram. But let’s take a look at a couple of examples with these things. 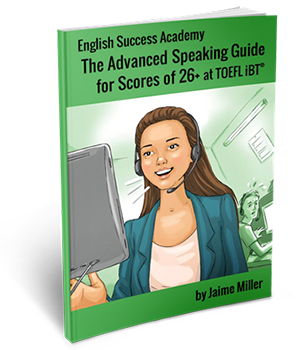 Most of my clients want to get a speaking score of 26 on TOEFL iBT, and it’s helpful if we think of this like a mountain. So your target score is up here, and whatever level you’re at let’s say that maybe you’ve been stuck at speaking 23 or speaking 24. You’re down here. Now when you try to cram what happens is that you’re trying to run up this mountain in a few days or maybe like a week, and the problem is that this distance between like a 24 and a 26, most people can’t run up that in a couple of days, or even like a week. It just doesn’t work because the distance between where you are and where you need to be is so great, you can’t like cram for it. And it really takes regular, consistent practice to make that transition so that you’re at that level. Now I told you I was going to show you what an example of cramming looks like. What an unsuccessful TOEFL Study schedule looks like is that maybe you’re living your life and you’re not studying TOEFL, you’re not studying TOEFL, you’re not studying TOEFL, and one day you realize, “Ugh, I really need to study for TOEFL” So you do what a lot of people do – you go online and you look for a test and you’re like, “Okay, well, in a couple of weeks or maybe in like three weeks there’s a test coming, two or three weeks away.” So you pay $200, you register for the test, and now you book something. And you’ve basically got like three weeks, maybe three and a half weeks to get ready for that exam. Suddenly you feel really motivated, suddenly you’re willing to like put some time in, so maybe you get kind of nervous, you start asking your friends like, “Hey, does anybody have any good resources?” Maybe you find some things, you buy a program to study, and you start doing some activities for this. And maybe even you change your work schedule, and you ask your boss to give you a couple days before the exam. Here let’s say that you take off work, you have a nice boss, your boss agrees to let you take off a couple days before. And so you plan you’re going to be studying during this time. And as the days pass you spend some time studying, maybe you study here, you study here, maybe even you spend all of these days studying. So maybe you spend like two and a half weeks before the test. You really, really, really study for TOEFL, and maybe during this time you probably put in maybe about 20 hours total studying. You take the test, now you got to wait, so ten days later you’re going to get your results. So like down here this is the day you get your results. And let’s imagine that the results are not good, basically nothing’s changed. You’re still at speaking 24 or you’re at speaking 23, not much really happened here. And then now you stop studying, because you’re depressed, you feel terrible, you’re angry, you’re like, “Ugh, I hate this exam.” And so you basically just stop studying. And maybe one month or two months goes by, and eventually again you create a similar cycle. So a lot of the time when I work with people this kind of process happens regularly. They may repeat this two times in a year, three times in a year, sometimes maybe even like four times in a year. It never really gets results for people, because they get their energy up, they try to run up the mountain, they’re not successful running up the mountain, they just feel bad so they basically just stay in the same place. They may fall back down the mountain a little bit, and it hurts, and it feels really terrible. And most people don’t understand like why it’s not working, because like I said before in their industry when they were studying for a pharmacy exam or a nursing exam or a physical therapy exam, or something like that, cramming worked in that situation. And a lot of people don’t understand like, “Why doesn’t it work? How come it’s not working?” Like, I said before the distance between where you are and where you need to be is so big, it’s not something that you can cross in just like 20 hours of studying. The gap between 24 and 26 is based on your accuracy with grammar, your accuracy with vocabulary, and your accuracy with accent, and how clearly you can talk about the six topics at TOEFL iBT. So if you have significant pronunciation issues, or significant issues with your intonation or your rhythm, those are not going to change with just 20 hours of random studying right at the end. Like, this is about systematically changing your English so that your accent and your pronunciation sounds different regularly. It’s not something you can do at the last minute. So I’ve seen a lot of study schedules that kind of look like this, and the good news is that if you’ve been in the situation this can change. And I know a lot of people who used to study like this, and then when they started following my program and they had a different study schedule, they were ready for something different, their scores are able to change. So if you’ve been studying in a way like this, if you’ve been cramming, the good news is that you can absolutely change your score. You just need the right kind of program so that something happens, and you actually get a result. So let’s talk about what a successful program or study schedule looks like when you actually start to get the results that you need. And this is … the goal of this in terms of raising your performance level is to develop new habits, new reactions with grammar, vocabulary, and accent, because when you have those new habits that’s actually what takes you up to that level of speaking 26. If you don’t have the habit, and it’s hard to form a new habit in just a few hours, like it takes weeks and months of intentional focus to get there. When you have those new habits and you have those reactions, then you can rely on your scores coming through. So a successful TOEFL Study schedule typically looks something kind of like this, where five days a week, sometimes six or seven days a week a student is putting in regular consistent time doing activities that actually make a difference. It takes a lot of commitments to get from here up to here, and it’s not something, like I said you can’t run up that in a few days. When I start to work with students we do not have a TOEFL Test scheduled. You will notice that on this schedule the student was motivating themselves by having a TOEFL Test scheduled. When I start working with students we don’t have a TOEFL Test scheduled, the goal is that we climb the mountain, we get up here. And when you start to get in this area then we talk about scheduling a test once you’re up there. So typically with my students we may spend one, two, three, sometimes four months of just really consistent studying. If somebody needs help raising their reading score, they’re listening, they’re writing, and they’re speaking, anything more than they’re speaking score – it can take months to actually make that kind of progress. Everybody’s a little bit different. I haven’t met you, so I would need to talk to you in a free consultation in order to give you some more information about this. But it’s very, very normal for people to need months to get up to that level, months of consistent practice, because the gap between where you are and the target scores that you want, it’s big. And I’ve been doing this since 2010, I’ve watched a lot of people get ready for this test, and I can tell you that this, I just, I have not seen strong positive results come from that. Like, typically what people need to do is be putting in a lot more time, and that this may continue for two, three, maybe four months. Now what are you studying on each of those days, that’s something that in a video on YouTube where like anybody could watch this, all different kinds of levels of students could be watching this – I don’t feel comfortable telling you a study schedule that you should be following, because I haven’t met you. I haven’t talked to you. I don’t know your score history. I don’t know what your strengths are. I’m not sure what your weaknesses are, so I don’t feel comfortable right now telling you like what you should do. Because what you should do is different from the other person who’s watched this video, or the next person who’s watched this video. People need different combinations of activities in order to get the results that they need. So I’m not going to just like make some recommendation in a video that I can’t know that that’s going to work well for everybody. So I can tell you though that you probably need to be spending five to seven days a week, and about 10 to 15 hours every week, or if you’re really serious about it, 15 to 20 hours per week, studying for the exam. And when people in my program put in 10 to 15 or 15 to 20 hours per week consistently in an ongoing way, and they keep communicating with me, they keep coming back to me, showing me results, finding the next thing to work on, and when I keep altering their homework schedule then we can get results for them. So if you’ve been cramming, and if you feel like you’re ready to follow a program that’s going to get you results, or if you want to stop wasting money scheduling an exam that you’re not ready to take, then I’d love it if you would come and check out my website. You can visit me at englishsuccessacademy.com, the link is in the description below this video. And when you’re on the website click on classes and find out more about the 12 essential topics that helps create the foundation, so that you can get your speaking score of 26 and move on with your life. I’m Jamie Miller, and I hope that you’ll come and meet me soon so that we can have a consultation, so that I can find out more about you and figure out what exactly should you be doing in each of those study sessions. So I’ll talk to you later. Have a good day. Click Here and Learn More about our Online TOEFL Classes!